China will temporarily drop a retaliatory 25 percent tariff on imported US cars as the two countries try to work toward a resolution of the recent trade war, Chinese government officials announced on Friday. The government there had tacked that 25 percent tariff onto an existing 15 percent import tax earlier this year as part of the escalation between the two sides. The changes will go into effect on January 1st. As a result, Tesla quickly moved to lower prices on the Model S and Model X by about $15,200 and $9,400, respectively. The company’s cheapest car, the Model 3, is available for preorder in China, but deliveries don’t start until spring 2019. The move comes less than two weeks after President Trump announced, without details, on Twitter that China would “reduce and remove” the tariff on cars. His proclamation followed a post-G20 summit dinner with China’s president Xi Jinping, and it set off a scramble the following day among cabinet members and advisers who offered competing interpretations of what changes, if any, could go into effect. 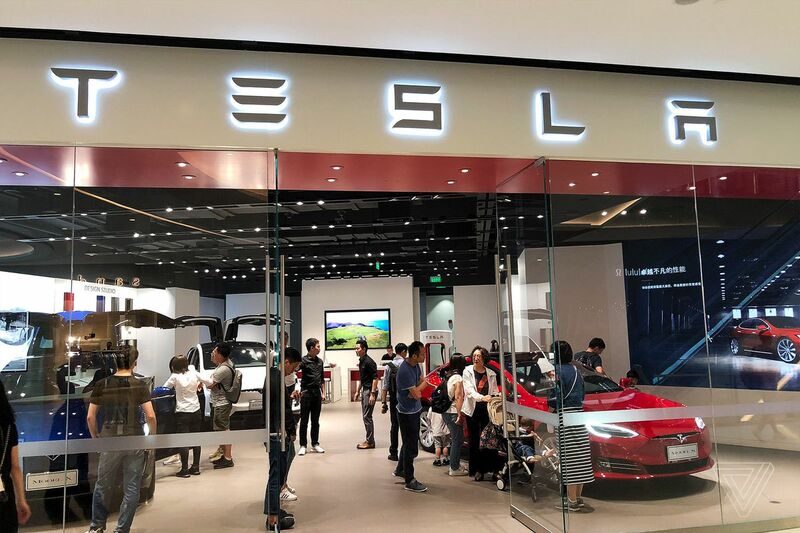 Tesla hiked prices in China this summer by about 150,000 yuan to 250,000 yuan (or around $22,600 to $37,600) after the government in Beijing installed that 25 percent tariff. But the company relented slightly in November by reducing those prices and eating some of the cost of the import tax amid reports of sagging sales. Tesla also struck a deal this summer to build its third Gigafactory in China, which means the company will eventually be able to produce cars locally and get around the tariff completely. But production isn’t scheduled to start until late 2019 at the very earliest. Auto sales in China are down this year across the board. The country is staring down the first sales drop in almost 30 years, in part because of the trade war, but also because China’s economy is finally cooling off after decades of intense growth. While the added tariff had an obvious impact on Tesla, it did the most damage to BMW and Daimler, the parent company of Mercedes-Benz. The two German automakers export more US-made cars to China than any of their competition. BMW recently said that China’s retaliatory tariff cost the company more than $300 million.